During WWII the Luftwaffe created a unit called Sonderkommando Elbe which was tasked with ramming Allied bombers. Sonderkommando “Elbe” was a last resort task force that was designed to create chaos among the Allied airforce by slamming planes into them in the sky. The goal of the tactic was to stop the advance of the Allies as they were bombing Germany. The mission was for the pilots to eject from their planes just before they hit their target. Sadly, the chances of one of the pilots surviving were extremely low, and the Luftwaffe had already lost a heavy portion of their properly trained pilots. The plane of choice that was used to carry out the mission was typically a G-version of the Messerschmitt Bf 109. The planes were stripped and had only one machine gun rather than the usual four automatic weapons the planes were typically equipped with. The planes were only given 60 rounds a piece, which was typically an insufficient amount to take out bombers. So with the lack of training and equipment, the mission of the Sonderkommando Elbe pilots was simple. Aim the stripped down aircraft into 1 of the 3 areas of vulnerability throughout the bomber. These included the empennage that was geared with delicate control surfaces, the part of the engine that is connected to the highly explosive fuel system, and the cockpit. 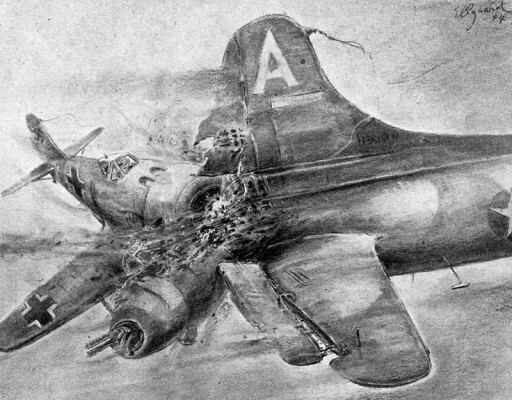 One of the most well-known accounts consisted of a cockpit being rammed against a Consolidated B-24 Liberator. This plane was a bomber with the sweet name Palace of Dallas. A German pilot tumbled the plane into the Palace of Dallas right inside the cockpit before ramming into another bomber. It was clear that the task force was a last resort and only carried out one mission which occurred during April in the year 1945. The success of the mission was unquestioned. Only 15 bombers were targeted but over half of these targets were blown out of the sky. Heinrich Rosner crashed into two B-24 Liberators that were a part of the 389th Bomb Group. The Palace of Dallas was the lead bomber. Rosner’s plane then tumbled into another B-24 that was unidentified. The pilot survived. Obfw. 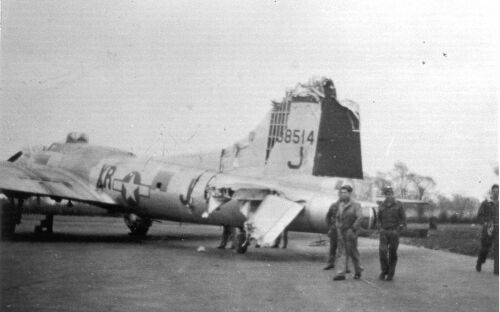 Werner Linder, tumbled into the B-17 of the 388th Bomb Group. The pilot was killed in action.